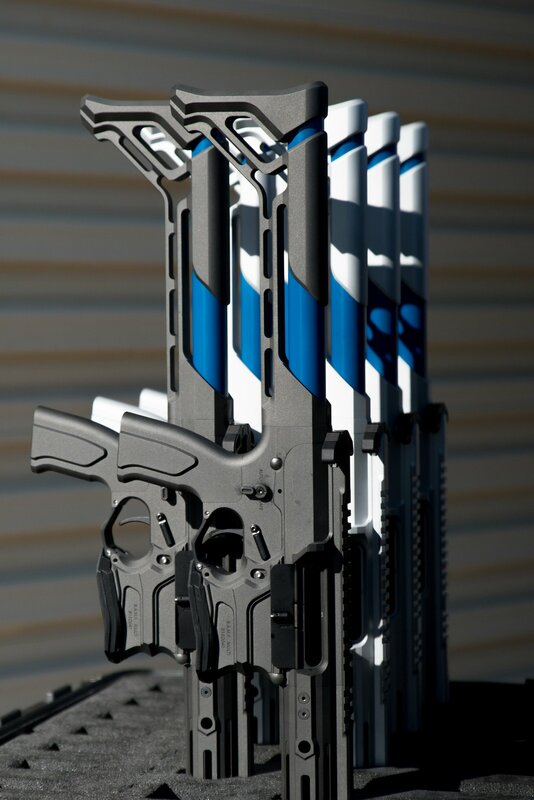 Cobalt Kinetics Evolve 3-Gun Competition/Tactical AR-15 Rifle/Carbine/SBR with Cobalt Advantage Reload System (CARS) Magazine Auto-Eject/Bolt Carrier Group (BCG) Auto-Release Feature: Coming Soon to a Competition or Combat Theater Near You! | DefenseReview.com (DR): An online tactical technology and military defense technology magazine with particular focus on the latest and greatest tactical firearms news (tactical gun news), tactical gear news and tactical shooting news. 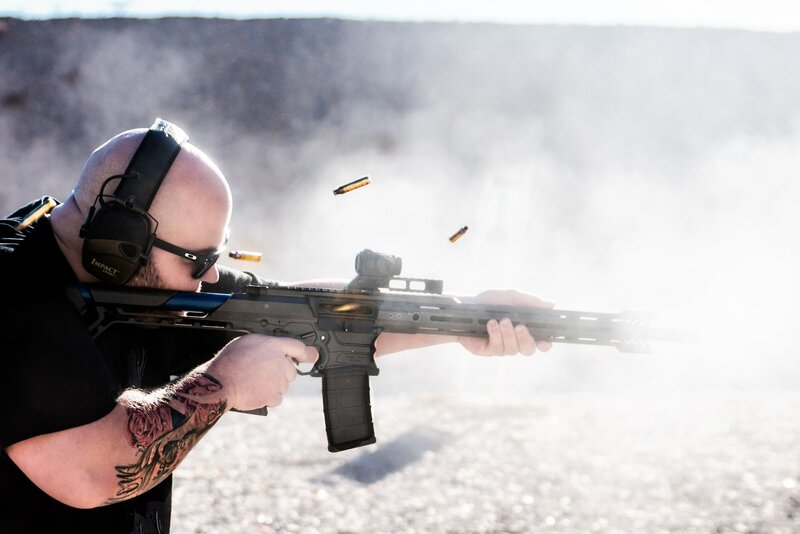 DefenseReview (DR) has been following some of the recent web press on the Cobalt Kinetics (CK) EVOLVE 16″ tactical/3-Gun competition AR (AR-15) carbine, and were intrigued by the gun’s Cobalt Advantage Reload System (C.A.R.S.) 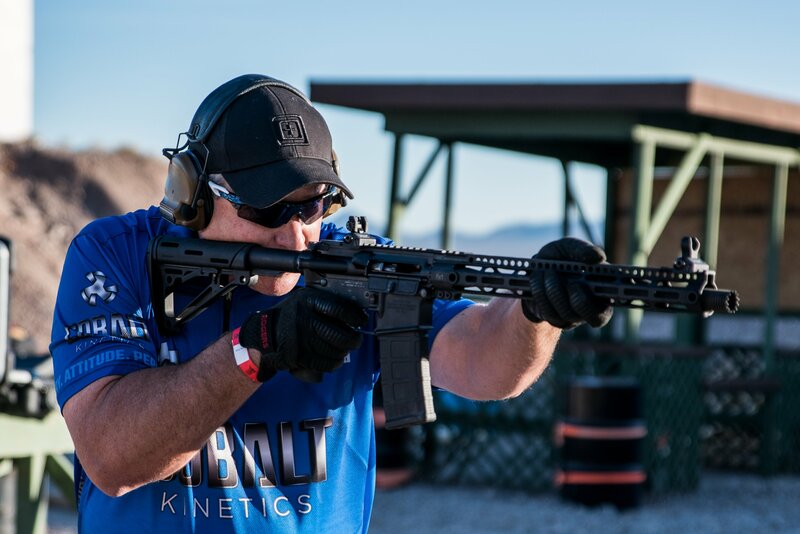 magazine auto-eject/bolt carrierg group (BCG) auto-release mechanism(s), so we decided to give Cobalt Kinetics’ Director of Marketing Jeremy Lamb a call. Lamb answered a whole bunch of questions for us, the first of which was whether or not the production model gun (Evolve) would also sport standard or ambi AR controls, including a magazine release button and a “ping-pong paddle” BCG release button, along with an intstant on/off button or lever for CARS functionality. We found out that it will indeed have at least standard AR controls, along with the instant on/off switch for CARS. 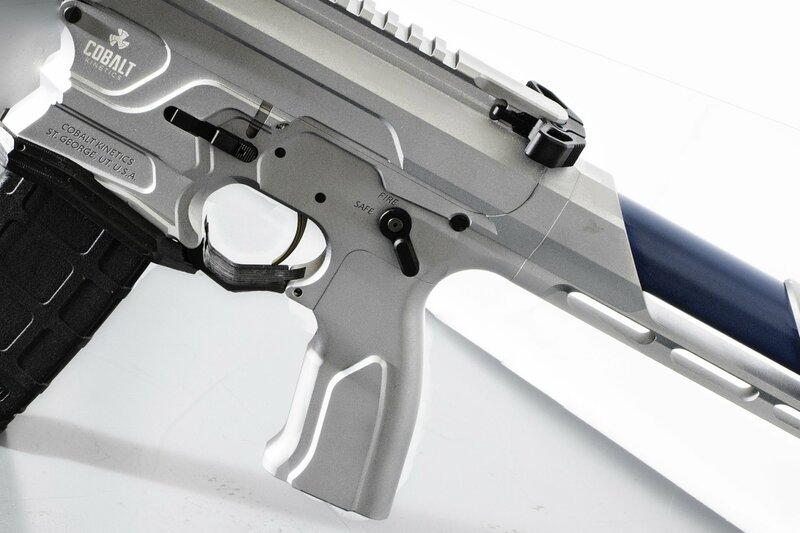 Our real interest in the Cobalt Kinetics Evolve’s C.A.R.S. 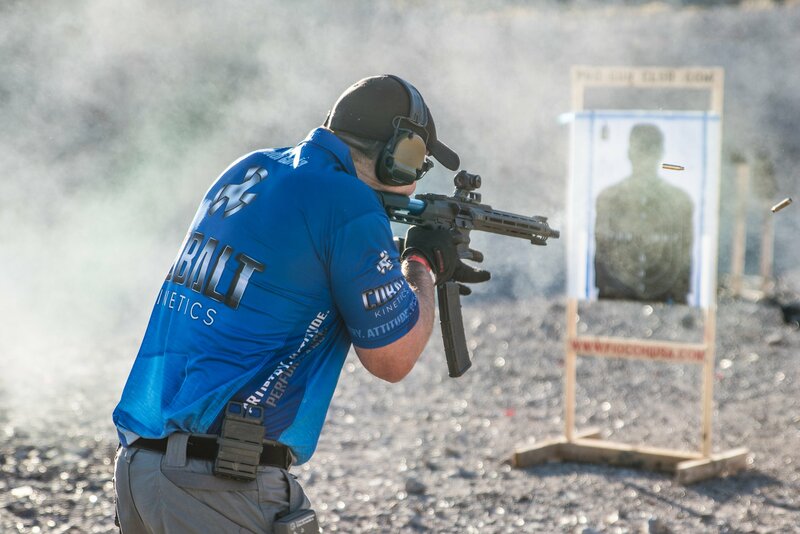 mag auto-eject/BCG auto-release capability started when DR writer/contributor Jeff Gurwitch expressed enthusiastic interest in the Evolve for 3-Gun competitive shooting, as every little speed advantage counts against the timer and other shooters. 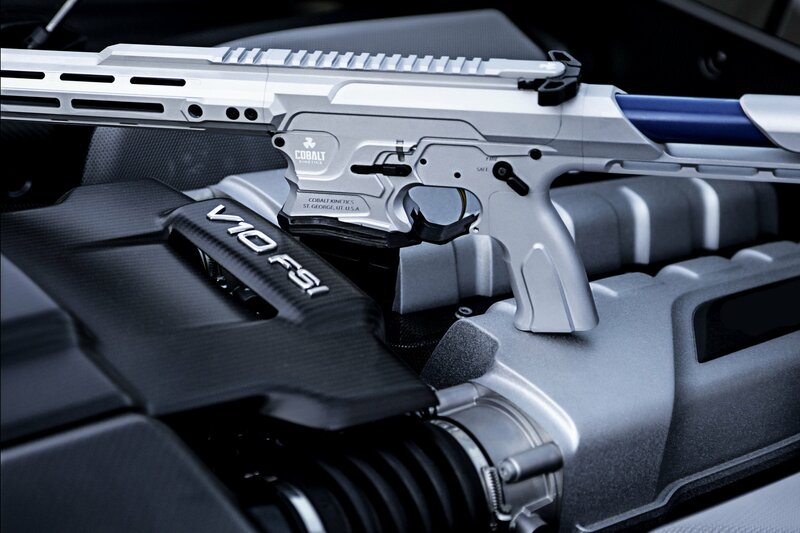 Gurwitch even referred to the CARS capability as the “next-step evolution of the rifle”. That’s pretty big–and I’m frankly inclined to agree with him. So, what does cars do, precisely? The Evolve’s CARS mechanism automatically ejects the empty/expended magazine after the last round is strip from the mag (and fed into the chamber), and then automatically drops the BCG upon fresh/loaded magazine insertion, without requiring the shooter to manually hit a bolt catch/release lever, i.e., the “ping-pong paddle”. Obviously, not having to manually eject the mag or release the BCG can shave precious fractions of a second or even second in a match. Defense Review is therefore optimistic about the potential speed/performance advantage the Evolve can give competitive 3-Gunners–but warfighters, LEO’s (Law Enforcement Officers) and civilian tactical shooters will arguably benefit even more when their actual lives are on the line, assuming they can afford it (see farther down), which they should be able to do, once the “Black-Line” carbines are developed. When it comes to military combat or civilian defense applications, i.e., martial applications, while your humble correspondent has been skeptical about the combat utility of CARS for this purpose, we also believed that having it as an option certainly can’t hurt, provided you can disengage it if desired, the system/mechanism is designed to be “bulletproof” in terms of reliability under adverse conditions like cold, heat, mud, rain, sand, water, snow, etc., and the additional controls don’t get in the way or cause any problems. As long as you can switch the system off, and the additional parts/complexity doesn’t cause you any trouble, what’s the down side? However, I am no longer skeptical about it, since finding out that Gurwitch disagrees with my (now previous) skepticism, and told me that in a gunfight “you cannot keep your gun [rifle] in the fight enough”, and that every bit of additional speed in that situation is advantageous. So, Gurwitch is gung-ho on the Evolve/CARS concept and capability/performance enhancement for infantry combat and general gunfigting, as well, provided of course that the system/weapon proves combat-reliable, and this has changed my mind on it, and brought me around to his way of thinking on it. Just for the record, the reason I was skeptical about the military combat-utility of CARS is that before tonight, DR had never seen or heard about any situation where the reload speed capability of a MILSPEC AR-15/M16/M4/M4A1 Carbine wasn’t fast enough or caused a problem for a warfighter, LEO (law enforcement officer) or civilian tactical shooter in a gunfight. We had yet to read an AAR (After Action Report) or hear any anecdotal story of someone getting killed in a gunfight during a speed reload because he/she couldn’t reload their AR fast enough. That was until Gurwitch told me the story of a Marine that “got shot while in the middle of trying to reload his rifle, [and] he is paralyzed now.” That’s actually the first anecdotal example of that happening that DR is aware of, but if Gurwitch says it happened, it happened. Bottom line, Gurwitch very much wants (reliable) CARS capability on his AR rifle/carbine/SBR, so he’s a big Evolve proponent, at least on paper, and he’s changed my mind on it indeed being potentially and significantly advantageous for military combat engagements, a.k.a. gunfights/firefights. It should also be noted that the Colbalt Kinetics Evolve CARS feature also aids in double-feed-malfunction clearance, especially when performing the procedure one-handed if, God forbid, one of your arms or hands is injured in a fight. You can see Keith Garcia demonstrate this advantage in one of the video clips below. Yet more more combat utility. However, there may also be times when you don’t want your mag (magazine) to be auto-ejected in a combat situation. There are stories of WWII infantry warfighters who didn’t like the fact that the M1 Garand auto-ejected the empty ammo clip upon feeding the last round, making a rather loud, distinctive sound and visibly flying from the weapon, thus alerting the enemy to the fact that their gun just ran dry. DR’s glad the Evolve will have standard or ambi AR controls, since it allows the shooter to operate the gun like a standard AR and only use the CARS features when desired/needed. It also adds an element of redundancy in case the CARS system fails for whatever reason, not that it necessarily would, of course. Another challenge for CARS will be making it work reliably with all the latest and greatest 5.56mm NATO/.223 Rem. AR rifle mags (magazines) out there that can have slightly different physical dimensions/specs, including aluminum mags like the OKAY Industries SureFeed USGI-type standard capacity (30 rounds) mag and SureFire MAG5-60 (60 rounds) and MAG5-100 (100-rounds) higher-capacity mags, and polymer mags like the Lancer L5 AWM (Advanced Warfighter Magazine, 30-rounds), IMI Defense G2 5.56mm Enhanced AR Magazine(s) (30 rounds), Elite Tactical Systems ETS AR Mag (30 rounds), MWG IK-520 40-Rounder (40 rounds), Mission First Tactical MFT AR Mag (30 rounds), MagPul Industries PMAG 30 AR/M4 GEN M2 and EMAG (30 rounds), Hexmag (30 rounds), MWG 90-Rounder (90 rounds), Troy BattleMag (30-rounds), HERA Arms H3MAG, etc. When DR asked what Cobalt Kinetics’ impetus was for developing the Evolve AR, he replied simply “We thrive on innovation. We find something new as a company, and then we make it.” He also brought up the fact that with pistols, sometimes when you insert a magazine forcefully enough, the slide automatically releases into battery, and asked why doens’t it work the same way on an AR. Why not, indeed. Speaking of martial/combat applications, DefenseReview also asked Lamb if the production EVOLVE would incporporate a MILSPEC buffer tube, alowing for the addition of a telescoping/retractable stock (like Bravo Company Manufacturing (BCM) BCMGunfighter Stock (GFS), B5 Systems Bravo SOPMOD, or Ark Defense Enhanced SOPMOD Buttstock (ESB), for example). He told us that it would. Since we noticed some full-auto shooting in some of the Evolve videos on YouTube, DR also asked Lamb if select-fire/full-auto variants of the Cobalt Kinetics Evolve AR, including 10.5″-12.5″ tactical AR SBR (Short Barreled Rifle) variants, can be developed and produced for military Special Operations Forces (SOF) applications/missions, and he answered with another very satisfying yes. 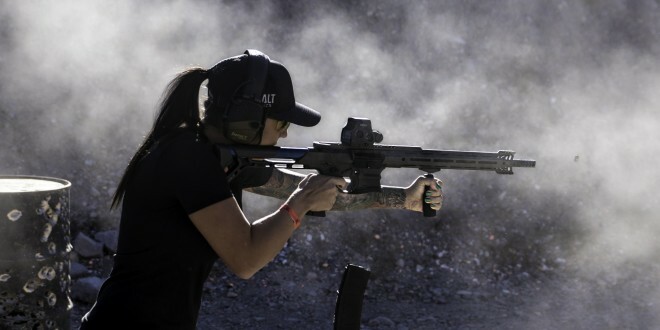 DR forgot to ask whether or not Cobalt Kinetics was looking to develop recessed-suppressed select-fire tactical AR SBR’s as well, but we assume they probably are. During our research, DR also learned about the Evolve incorporating a modular buffer system inside a fixed buttstock, so we asked Lamb if the buffer system can be tuned to adjust and lower the weapon’s cyclic ROF (Rate of Fire). He responded that he believed it could indeed. 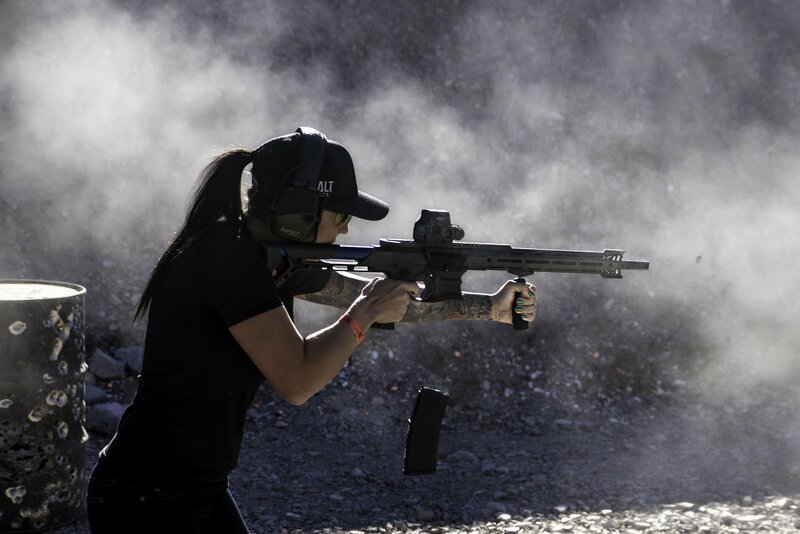 Speaking of lowering a weapon’s cyclic rate of fire, the FERFRANS Specialties SOAR (Special Operations Assault Rifle) direct-gas-impingement (DGI) and SOAR-P (Piston) gas piston/op-rod (push-type operating rod) select-fire/full-auto tactical AR SBR’s/PDW’s (Personal Defense Weapons) and carbines are perhaps the best examples of the practical application of it in both 5.56mm NATO (5.56x45mm NATO)/.223 Rem. and 300 Blackout (300BLK). 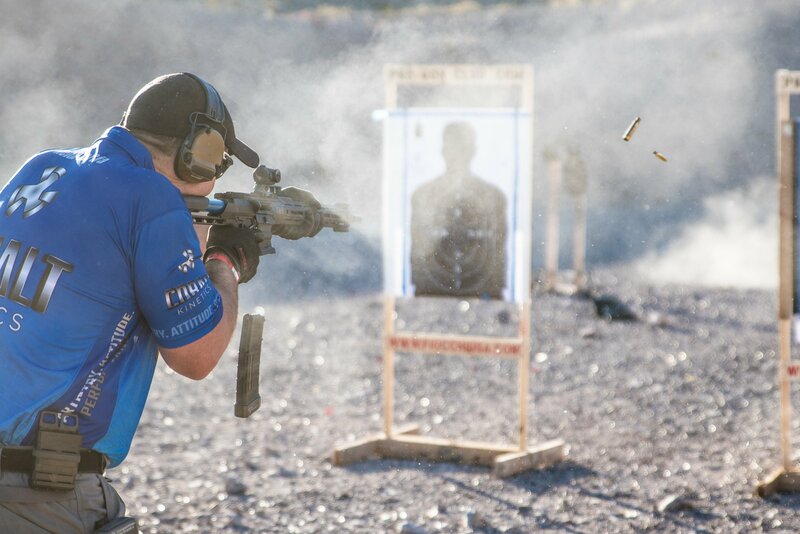 The SOAR and SOAR-P guns incorporate FERFRANS’ patented, proprietary DSAS/RRS (Delayed Sear Activation System/Rate Reduction System), which reduces the cyclic ROF below the magic 700 RPM threshold for controllable, surgical full-auto fire. 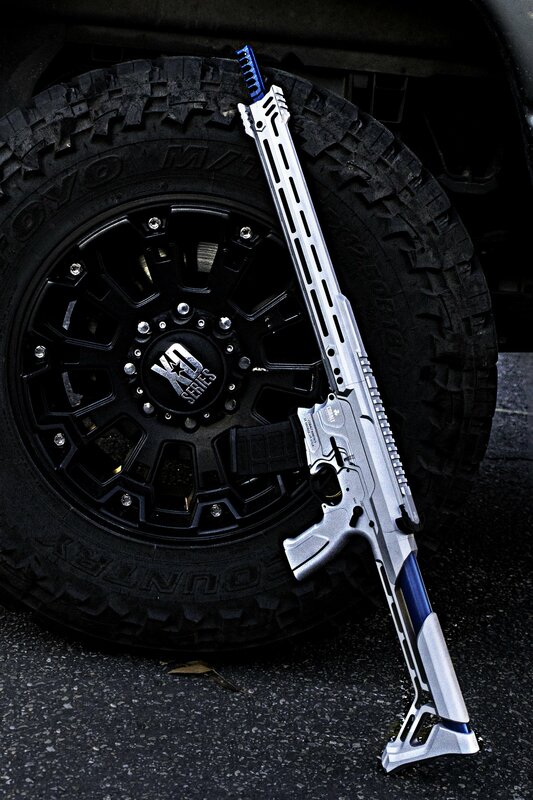 Ferfrans guns get down to 7.5″ (7.5 inches) in barrel length in PDW format, and they’re badASS. DR’s made no secret of our affinity for the FERFRANS guns, since we’ve put thousands of rounds through them. Those guns are runners. So, we’re big fans of the FERFRANS. By the way, the FERFRANS DSAS/RRS is so effective, it even enables surgical one-handed full-auto mag dumps. Plus, it’s just plain fun, and sure to bring a smile to anyone’s face that tries it. That said, the Evolve AR looks plenty controllable on full-auto, even at the AR’s normal (high) cyclic ROF, let alone during semi-auto fire. Lamb told DR that the Cobalt Kinetics team designed the Evolve AR to have minimal muzzle rise without the need for a muzzle brake/compensator. They accomplished this with the Evolve’s buffer system, according to Lamb. Anyway, the production model Cobalt Kinetics Evolve with CARS is currently scheduled for mid-summer, or by fall at the latest, and will likely come in somewhere between $3,000 and $4,000. 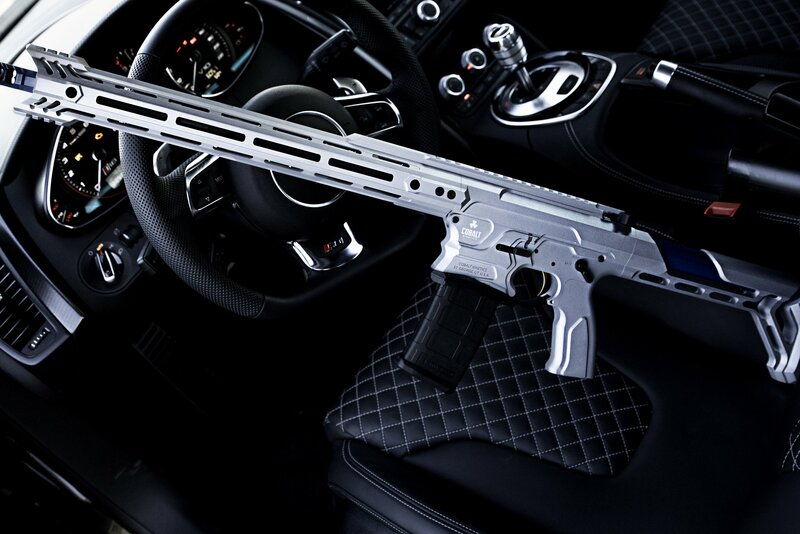 So, progress don’t come cheap, especially when it sports components like a Proof Research 16″ carbon fiber-wrapped barrel, custom 7075-T6 aircraft-grade aluminum billet upper and lower receiver, etc. 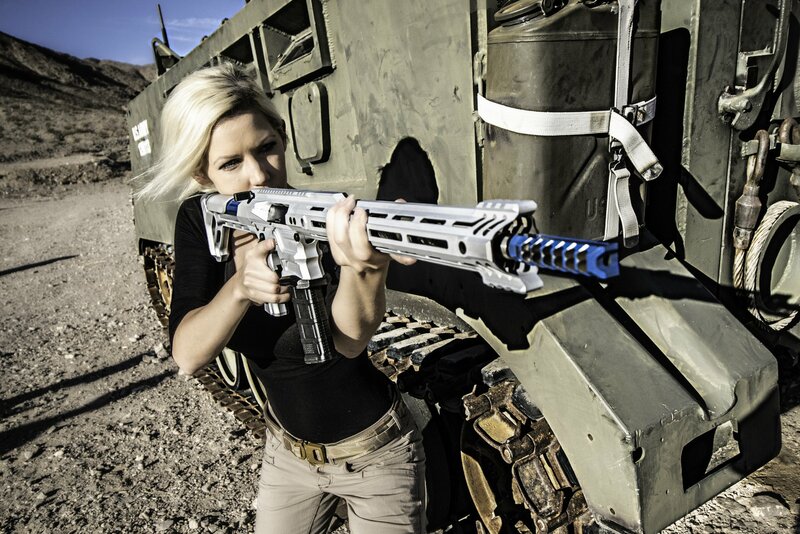 Technological advancement ain’t free, folks, at least not with the fully-tricked-out Evolve AR carbine. However, less expensive “Black Line” guns (carbines) are also in the works, and the goal is to get those within the $1,500 threshold of affordability for law enforcement agencies, individual LEO’s, and civilian tactical shooters. Below $1,500 would be ideal for some respectable market penetration of the CARS technology, but in DR’s opinion, but anywhere in the $1,500 to $1,600 range might also be workable, assuming the quality is high and the guns run like the wind (and CARS works as advertised) under adverse conditions and high round count. It of course goes without saying that DR hopes to get an early production model into Gurwitch’s hands as soon as possible, since he’s both a military SOF (Special Operations Forces) assaulter/operator AND a 3-Gun competitive shooter, so he offers a dual perspective, in addition to his knowledge, background and experience. 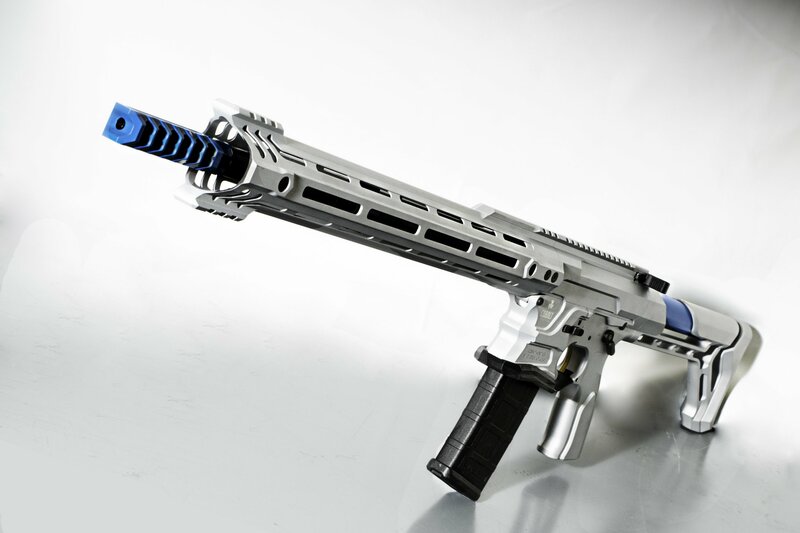 Editor’s Note: The Cobalt Kinetic Evolve developmental prototype currently features an AXTS/Rainier Arms Raptor Ambi Charging Handle. Previous: DRD Tactical KIVAARI, Paratus and CDR-15 Backpackable/Manpackable Quick-Takedown Semi-Auto Tactical AR Rifle/Carbines Get New Nickel-Boron (NiB) Battle Worn Finish!